CAMINO TOURS & TRAVELS is a specialized tour and travel company that is located in Kolkata (West Bengal). 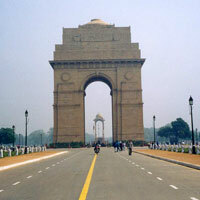 Our company is a well-reckoned name for availing the best Domestic Tours. Explore the beauty of West Bengal, Sikkim, Central India & West India with us. Special interest packages to Eastern Himalayas and Indian Beaches are provided by us. The Domestic Tour packages to Kashmir, Darjeeling, Maharashtra, Goa, and many more can be availed from us. Trips to Amarnath, Char Dham, Kumaon & Corbett, are highly appreciated by foreign tourists as well as the domestic tourists.